Héctor Reyes is a retired chemistry professor from the City Colleges of Chicago, and former chair of his faculty union at Harold Washington College. He has been a socialist activist for 35 years, since his days as a student activist and strike leader at the University of Puerto Rico in Mayagüez. How did Puerto Rico prepare for the Hurricane? How were those preparations conditioned by PR’s status as a US territory, the extreme debt, and PROMESA? The government did the customary things that state governments in the U.S. usually do. They advised people to take the typical precautions regarding winds, rain and floods, the stockpiling of food and water, shelters, etc. Yet the actual response by the government, the adequacy of the emergency response, and the vulnerability to storm damage of the infrastructure–all worsened by the economic crisis and years of neglect–are all under the thumb of budgetary pressures imposed by the U.S. government to satisfy the demands of Wall Street. An example is the electrical power system, owned and operated by the Electric Energy Authority (AEE), which is a public corporation. For years, it has been neglected, mismanaged and plundered. It was managed by its own financial control board until recently, when the Financial Oversight Control Board that was jointly imposed last year over the whole island by the Obama Administration and Congress decided to disband it after tens of millions of dollars were spent by that board unsuccessfully. The AEE continued to be in deep debt, while much of its infrastructure remained vulnerable and old. About a week before the hurricane arrived, the Oversight Board announced that it intends to privatize the AEE. So here is a weak link, product of the colonial crisis, that was in place before Hurricane Irma arrived. How was the island affected by the Hurricane? How does this compare to previous storms? Well, the weak link broke. 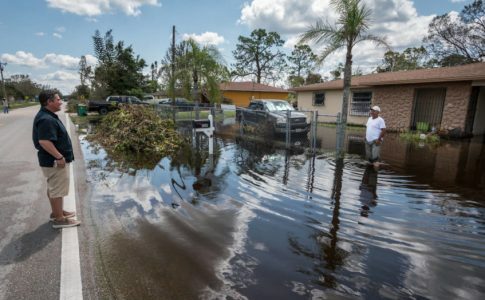 After Irma, about 70 percent of the population was left without power, and 158,000 customers had no water (most likely because there was no electricity to power the pumps). Although people were bracing for a more catastrophic storm, judging from what happened in Barbuda, St. John and St Thomas, the damage was less than expected, due to the fact that the path that Irma took spared most of the Island of the worst winds. Yet, in their sigh of relief, I think that people are overlooking the fact that there indeed was significant damage. We build our homes in Puerto Rico in concrete, in order to withstand the hurricanes. Yet a sizeable a portion of the poor live in wooden homes. Those get blown away in a hurricane. 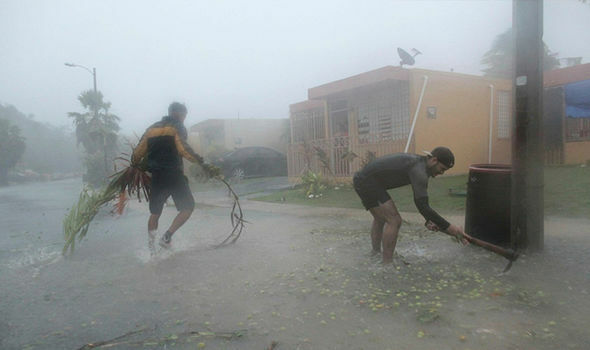 The island town of Culebra was devastated with many buildings and homes blown away, in a scene similar to those of St Thomas and Barbuda. There are many towns along the northeast coast where houses were damaged or destroyed, and in the central, mountainous region of the Island. There are floods across the country, and fallen trees over many roads and streets. As I write, it is still raining with residual bands of Irma trailing far behind it, while there is a potential for more rain this Sunday from the outskirts of the next hurricane formed in the Atlantic, Jose. There have been hurricanes and storms that have caused great damage in the past, perhaps immediately more than Irma, such as Hugo and Georges. And there were people that did not get back their electric power for six months then. Yet, there is a general sense that we are more vulnerable now. Let’s hope that it does not take six months for everyone to have their power restored this time. But I would not be surprised, given the level of callousness of the Oversight Board, that there may be people in rural areas that never get their power restored. Ever. In New Orleans, like in Houston, it was often the poorest neighborhoods that were impacted the most. Is this the case in Puerto Rico? A natural disaster is like if you dig a deep hole, say 100-feet deep, throw people in it and then pour lots of water. Those who are at the bottom of the pit drown first, while those above may not, depending on how much water is poured and how much higher they entrenched themselves. 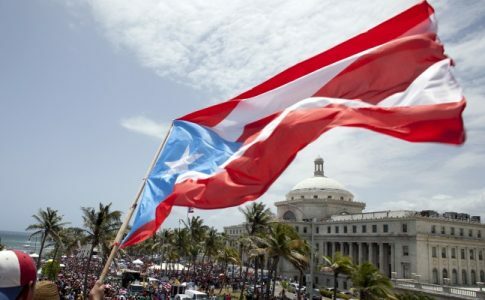 Puerto Rico is in the midst of a foreclosure crisis. People will lose or abandon their properties, and some may become the target of speculators who may attempt to buy their properties at bargain prices; desperation may win the day. In Puerto Rico, those at the bottom of that pit–the poor–are just below 50 percent of the population. Many people are vulnerable. We build our homes in Puerto Rico in concrete, in order to withstand the hurricanes. Yet a sizeable a portion of the poor live in wooden homes. Those get blown away in a hurricane. Some will have roofs made of zinc panels. At hurricane speed, those panels are very dangerous when they are blown off the roofs. That’s the lot of the poor in the Caribbean. It was the rural poor who waited six months to have their electricity restored after Georges. And if they have any injuries, the hit that the public health system has taken over the decade of economic crisis, will make it more perilous for them. Remember that we have been losing one doctor a day for several years, 35 percent by now. So that puts even more pressure on the healthcare system, and results in more neglect of the poorest sectors of the population. Given the dire economic conditions in Puerto Rico, how will the island rebuild after such a storm? What kinds of challenges and repercussions will be faced in the aftermath? I believe that beyond the electric power system, no other major infrastructure has been significantly damaged, but it is too early to be certain. Yet places like Culebra will have more trouble rebuilding. Federal help, under FEMA, has been approved by the Trump administration. So that will help. However, I am more concerned about individuals and families whose homes or small businesses were severely damaged. Those will be vulnerable in many ways. Puerto Rico is in the midst of a foreclosure crisis. People will lose or abandon their properties, and some may become the target of speculators who may attempt to buy their properties at bargain prices; desperation may win the day. 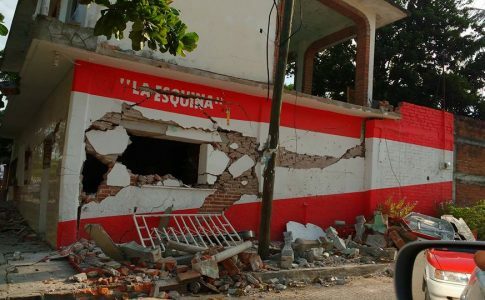 I mean this regarding people who live in areas that have been targeted by Gringos with deep pockets that want to invest in tourist-oriented regions such as Culebra, Vieques and the northeast coast of the main island, all of which were damaged by Irma. These are the same types of risks faced by the people of Barbuda, who may have their small island literally bought off from under their feet, by the international agents of neoliberal plunder. How much aid and support does Puerto Rico receive from the federal government in recovering from such disasters? We will receive federal grants through FEMA and other agencies, like the states of the U.S. I am not aware of any limitations or caps, though as a colony, we are frequently subjected to them. However, I will not be surprised if some funds are greased in a particular way to satisfy the agenda of the Oversight Board. And that would be terrible. To your knowledge, how much, if any, has global warming affected the intensity or amount of storms that go through the island? The number and intensity of storms in the past two decades has been erratic. We have been spared for several years. Yet one would need to go back 89 years to find a hurricane nearly as strong as Irma that damaged the Island. The rising seas are affecting the Island. For example, there are sections of Rincón, loved by surfers and the canary in the mine of Gringo beach-property hoarding in Puerto Rico, where the beach has lost about 20 feet. It would be an irony if these places on the beach, from which the U.S. Americans are displacing us, end up under water over the next 20 to 40 years. 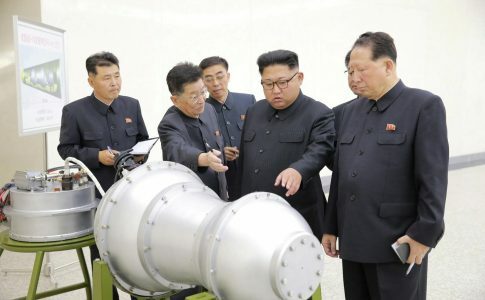 The U.S. and North Korea: A War of Nerves, For Now. How has climate change affected the Caribbean?